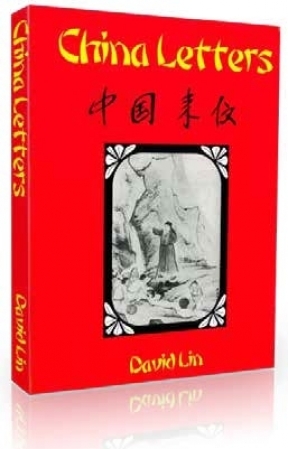 Summary: David Lin’s letters and articles appeared in various Adventist periodicals at a time when Desmond Ford’s teachings were the center of attention in the Adventist Church. Seventh-Day Adventists have a peculiar heritage. It inspires faith and courage, and calls for unreserved devotion. We belong to a succession of true nobility appointed of God to speak in His name. The privilege of being God’s chosen people once belonged to the Jewish nation. Said the inspired apostle, “What advantage then hath the Jew? or what profit is there of circumcision? Much every way: chiefly, because that unto them were committed the oracles of God.” Romans 3:1-2. What a high and holy privilege it is to be entrusted with the oracles of God! But as in the case of the priesthood, “no man taketh this honour unto himself.” Hebrews 5:4. The honour of being the custodians of God’s world cannot be assumed by anyone on his own initiative. Since antiquity many individuals have presumed to be spokesmen for God, but in the end they proved to be false prophets. This incitement is an example of a popular majority versus an unpopular minority. But the “oracle of God” was entrusted to the latter. And Micaiah was hated because he pronounced God’s judgments against the wicked. There has always been an unbroken line of chosen instruments entrusted with the oracles of God. When the Jews rejected their Redeemer and failed to fulfill God’s purpose, He chose men from among the Gentiles to proclaim the message of salvation. Said Paul to the recalcitrant Jews: “It was necessary that the word of God should first have been spoken to you: but seeing ye put it from you, and judge yourselves unworthy of everlasting life, lo, we turn to the Gentiles.” Acts 13: 46. Here Christ announced the divine purpose to transfer the privilege of administering the oracles of God to the ecumenical church of which Peter was a representative. Ever since Creation, these oracles have laid down the conditions by which sinners are either admitted to or excluded from the kingdom of heaven. The Papacy has laid claim to the apostolic succession. But we note that the “keys of the kingdom” have unlocked the treasure house of prophecy to reveal that the true apostolic succession belongs to the people represented by the woman in Revelation 12, while the Papacy is symbolized by the dragon which attempts to destroy her. This symbolism, with the prophecies of Daniel 7 and 2 Thessalonians 2, all conspire to identify the Papacy as the antichrist, and whoever accepts this truth cannot consistently regard the Papacy as a valid part of God’s church, despite the fact that she is counted as a part of Christendom from the historian’s viewpoint. Our doctrinal understanding on this subject should keep our thinking straight and govern all our dealings with that power. Thus the first transfer of trusteeship, as we may call it, is recorded in the New Testament as a historical event. A second transfer of this responsibility five centuries later, this time from the apostolic church to the church in the wilderness, is depicted as a prophetic event. The emergence of Balaam in Pergamos and of Jezebel in Thyatira, as opposed to “as many as have not this doctrine, and which have not known the depths of Satan” (Revelation 2:14, 20, 24) clearly indicates a process of differentiation during the Middle Ages which separated the chaff from the wheat. The true church of God remained in the wilderness for 42 months, after which she emerged from seclusion to reconquer the world in the new evangelical upsurge. Revelation 12 speaks of a “remnant” of the seed of the woman preserved in the wilderness. This appellative implies that it is the last body of saints to be victims of Satan’s attacks. And since we recognize that the church in the wilderness comprised the Waldenses, the Albigenses, Huss and Jerome, Wycliffe, Luther, the Wesleys, and others, then we are faced with the task of identifying their “remnant”—the modern successors of this line of depositaries of God’s holy oracles. To aid us in our task, Inspiration has provided dependable clues to convince every honest inquirer that God is personally leading this great movement to its victorious climax. (1) The first and most substantial clue is Revelation 10. Here the Millerite awakening, culminating in the Disappointment of 1844, is depicted in fascinating detail. The seven thunders represent that critical but obscure text which Miller misunderstood and thus became for all a test. In Scripture, thunder often is a figure for God’s voice. See Job 37:4-5; 2 Samuel 22:14; Psalm 29:3-4. And seven signifies completion. Hence seven thunders symbolize a complete revelation. Here we see a deliberate act of Providence temporarily to cover up the truth—withholding a full revelation—with the purpose of bringing about a great disappointment. We see in it a parallel to the blindness of the disciples when Jesus told them of His coming humiliation and crucifixion. “They understood none of these things: and this saying was hid from them, neither knew they the things which were spoken.” Luke 18:34. This blindness of the disciples resulted in a crushing disappointment which was soon followed by a thrilling manifestation of God’s glory and the commission to “Go... and teach all nations.” And we note that both the disappointment and the subsequent rejoicing were exclusively the experience of the chosen few. The risen Saviour was manifest only to a select group which had undergone the sifting process of a great disappointment and defection. Eighteen centuries later, the Millerite disappointment was a close re-enactment of that first one. God has a special purpose in His providence. It pleased Him to bring His chosen people through the valley of blasted hopes and then make them to see new light in the sure word of prophecy. As Isaiah 53 and other prophecies of Christ’s sufferings were to the mourning disciples, so were Revelation 10 and concurring prophecies to the faithful few after 1844. In both cases, “open He their understanding that they might understand the Scriptures.” Luke 24:45. In these Scriptures, the anchor of our faith is now securely moored. Revelation 10 is our strongest mooring place because it accords with the Millerite experience in every significant detail—from the “little open book” to the command to “prophesy again” after a sweet and bitter experience. By way of human reasoning, the Advent movement, initiated by a man who is still regarded by many as fanatical, should have petered out, and no one would think of taking up the work where he left off. But the observation of Gamaliel is applicable here: “If this counsel or this work be of men, it will come to nought: but if it be of God, ye cannot overthrow it: lest haply ye be found even to fight against God.” Acts 5:38-39. Ever since the Seventh-Day Adventist church was organized, many men aided by evil angels have sought to overthrow it, but they were fighting against God. He has devoted a whole chapter in Revelation to identify us as His people. No other event in history comes near to a fulfillment of this chapter, which stands between the fall of the Ottoman Empire depicted in Revelation 9 and the events of the seventh trumpet in Revelation 11. Our succession to William Miller cannot in truth be denied. We have not the least cause for shame, but every reason to take pride. We should vigorously publicize The Great Disappointment as the God-given credentials of our great Advent movement. Revelation 10 is the “open door” into which the wise virgins are admitted. It is also the “shut door” which keeps out the foolish virgins. This sifting process has continued to this day. All who see in the Millerite movement a fulfillment of Revelation 10 are admitted to the wedding banquet, while all who deny that Miller was led of God remain in outer darkness. Now it is a historical fact that all the Protestant bodies who tripped and fell over the Millerite stone of stumbling have made no progress in their understanding of the prophecies of Revelation since 1844. Their knowledge of Bible prophecy remains within pre-Millerite confines. He who has the key of David has shut the door in their faces, and no man can open it. It is a remarkable fact that Ellen White makes a prophetic application of the parable of the ten virgins, but does not attempt to explain what the figure of the “dinner” (Matthew 22:4) of the wedding represents in reality. But we who are removed from the Midnight Cry by 137 years are now in a position to observe that this banquet is symbolic of the spiritual feast of good things provided through the writings of the gift of prophecy. He who promises to “come in and sup with” us has brought to everyone who opens the door a veritable banquet of spiritual delicacies. All who with humble hearts step into the “open door” of the sanctuary truths which follow in the wake of the Millerite movement are thereby ushered into Christ’s festal chamber and treated to the nourishment of the “testimony of Jesus,” which is designed to build up His remnant church and to strengthen His people for the last great conflict with the prince of darkness. God takes us into His confidence by the vision of Revelation 10, even as in the case of Sodom He confided in Abraham His friend. Leading to mastery of prophecy, Revelation 10 is a strategic door; they who balk here will never understand all that comes after 1844. (2) Our second clue is found in Revelation 3:14-21. Again we see a close description of the Advent people. We recognize our own features delineated in this letter. Christ introduces Himself as “the Amen, the faithful and true Witness, the beginning of the creation of God.” He says to us, “You keep the Sabbath to commemorate the creation of God. Now I am the Lord of the Sabbath, the Author of all creation. I am also the One speaking to you through the gift of prophecy.” The voluminous “Testimonies” are a magnified projection of Christ’s letter to the Laodiceans. The keynote of these testimonies is, “I know thy works... As many as I love, I rebuke and chasten: be zealous therefore, and repent.” And now, as we near the grand finale, we see the fulfillment of the prophecies of the great shaking—whole congregations spued out of His mouth! This reciprocal recognition is the unmistakable sign that the Seventh-Day Adventist church is God’s true church in modern times. Behold how sound and dependable are the tokens of God’s grace! See how the sure word of prophecy gives firmest grounds for our faith! To assign a human mortal to a mission on earth below, is the very highest honour that heaven can bestow. Like Esther and Mordecai in an hour of national crisis, who knows we are not come to the kingdom for just such a time as this? In every time of crisis God has always had His Micaiahs to oppose popular prophets who preach smooth and pleasant things to the people. Thus did Elijah in his day. And in the first century God sent John to rebuke iniquity in high places. Then came the two witnesses who preached in sackcloth as the “woman” was nourished in the wilderness. Today the oracles of God have been committed to the “remnant of her seed”—the Seventh-Day Adventist world communion. Here history witnesses the third transfer of this sacred trusteeship, of which we bear unmistakable credentials. In the Book it is written of us; God has pledged to perform His word. His angel directs the movement to prepare the way of the Lord. God make us worthy to fill the place of John and Elijah’s vacancy! They were men of like passions as we, but they prayed and preached so differently. They have passed from the stage of action but there must be action on this stage! God calls for a million Elijahs to meet the crisis of our age. Where is the God of Elijah? He’s very close at hand—at the touch of the prophet’s mantle Jordan’s waters become dry land. To confirm His gospel message, God works signs and mighty wonders; for to all His faithful servants He gives not His spirit by measure. The voice crying in the wilderness shall not have cried in vain; it must resound through the centuries to waken the millions of our day.